New Start & House batteries installed January 2019. Production of the original Catalina 42 started in Woodland Hills Ca, in January 1989, the popular Gerry Douglas design produced no less than 100 boats the first year, the Mark II begin production in 1995 & there were 300 hulls built. With an airy open floor plan & comfortable furnishings the main cabin has a generous beam & headroom in addition the master, ensuite forward & guest cabin aft offer a comfortable interior space. 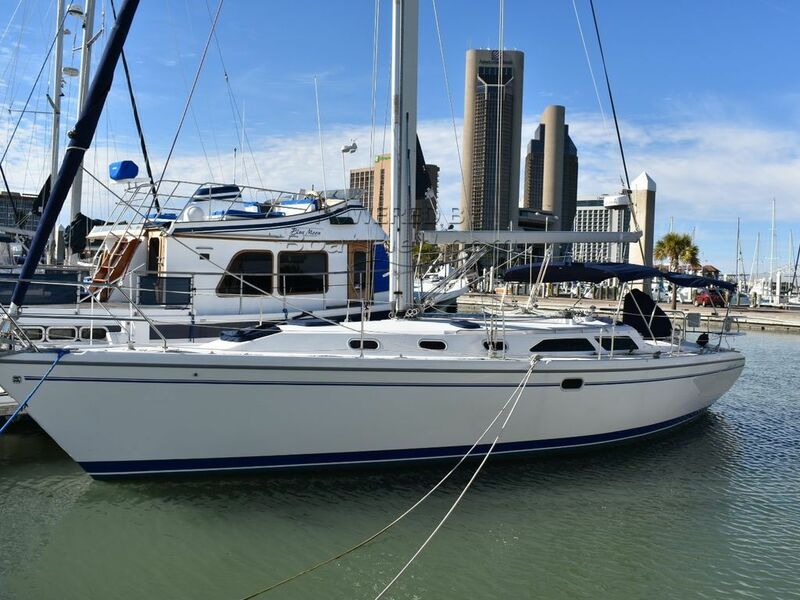 Designed as a performance cruiser the C42 MKII sails effortlessly on a beam reach & several owners state they have exceeded hull speed even with additional cruising gear & equipment installed a testament to the hulls popular design. This Catalina Yachts 42 MK II Twin Cabin has been personally photographed and viewed by Steve Black of Boatshed Texas. Click here for contact details.